It is that time of year again where we look to spoil the special lady in our lives. 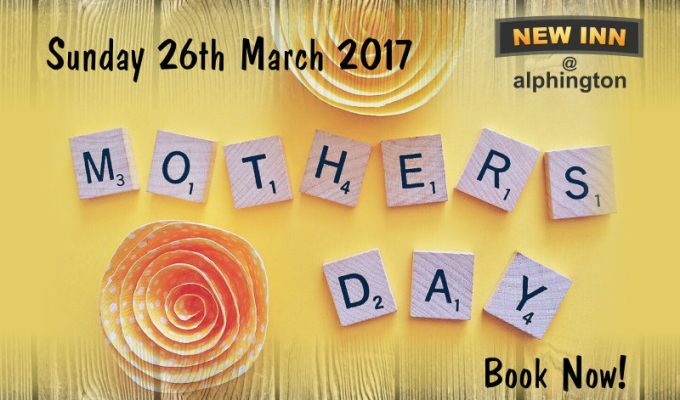 We will be hosting a special Mothers Day Menu on the 26th March. Click here to see the mouthwatering menu now. 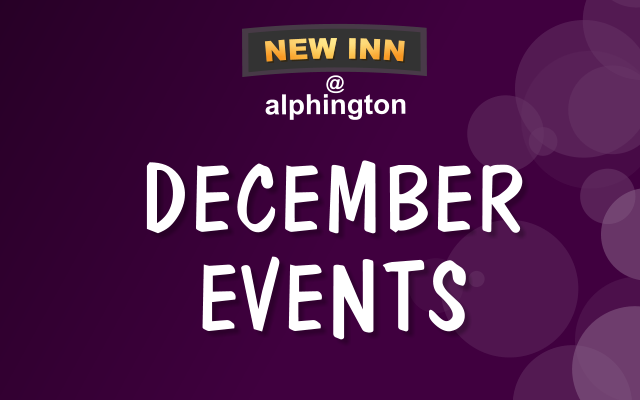 Tomorrow night sees the start of our new theme nights. 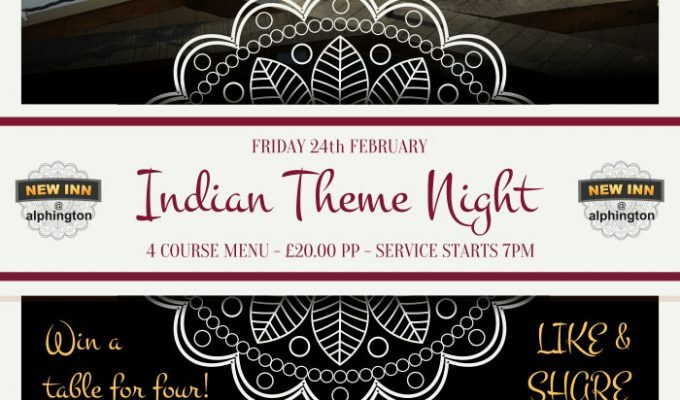 To kick it all off, we are having an amazing ‘Indian Themed Evening’. Sit down will be from 7pm, we will be serving 4 authentic courses for only £20 Per Person. 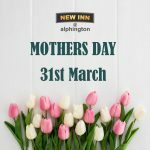 To book a table call 01392 204994 or get in touch via our website or through facebook messenger. If that wasn’t thrilling enough we are also giving away a table for four people. Simply Like and Share the post and leave a comment below. 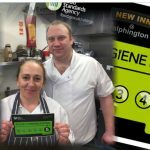 The winner and three friends will be dining free of charge tomorrow night, we will draw the winner tomorrow afternoon. We have some exciting dates for your diary. 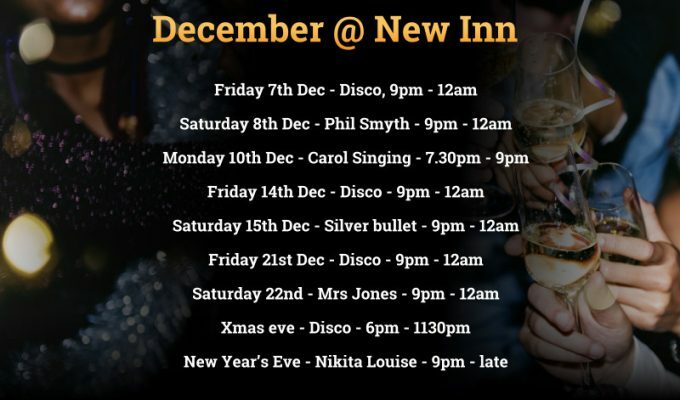 Lots going on @ New Inn over the coming weeks. We would love to see you. 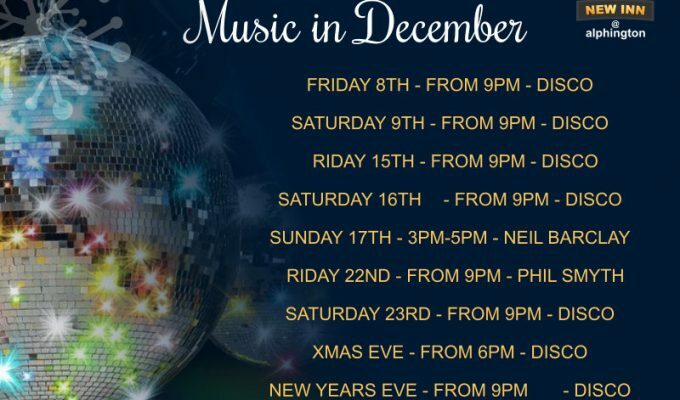 New Year’s Eve party with disco 9pm until late. Please note due to the Christmas menu being served our Normal Menu may not be fully available at all times.